The spectrum of dermatophytes isolated from skin lesions had changed in last 70 years. Before the Second World War in Germany, Microsporum audouinii and Epidermophyton floccosum ranked the first, whereas Trichophyton rubrum is the most common dermatophyte since the fifties of last century, accounting for 80–90% of the strains, followed by T. mentagrophytes. This evolution is typical for Central and North Europe and it needs to be connected with the increase in the incidence of tinea pedis. In contrast, in Southern Europe and in Arabic countries, zoophilic dermatophytes, such as Microsporum canis or Trichophyton verrucosum, are the most frequently isolated. In Europe, especially in Mediterranean countries, the incidence of M. canis infection has strongly increased during the recent years and this dermatophyte is now the most prevalent in tinea capitis in children. An analysis of the frequency and distribution of tinea pedis in different occupations and leisure-time activities as well as the routes of infection are reported. The spreading of this disease in most developed countries of the world represents a considerable economic problem, since it was accompanied by a parallel increase in the frequency of onychomycosis which implies, as tinea pedis, large financial charges. 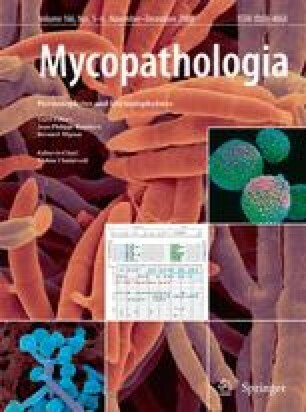 In poor developing countries, mycoses appear endemically, primarily with children, and their treatment often fails because of the lack of efficient antifungals. The particular epidemiological situations of dermatophytoses and the pathogenic spectrum of dermatophytes are examined at the example of numerous countries.